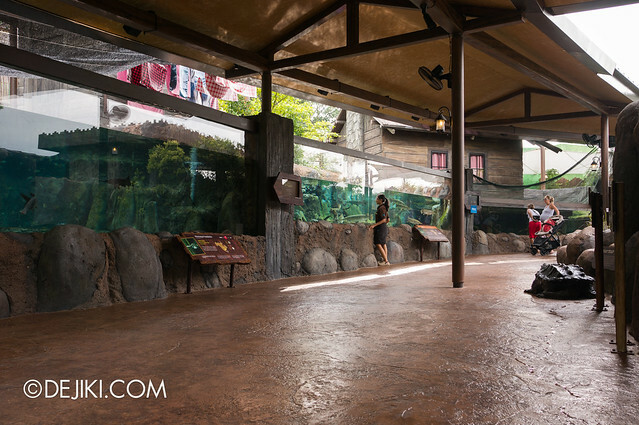 I’m sure you’re all pretty excited to explore River Safari – the first and only River-themed wildlife park in the region. 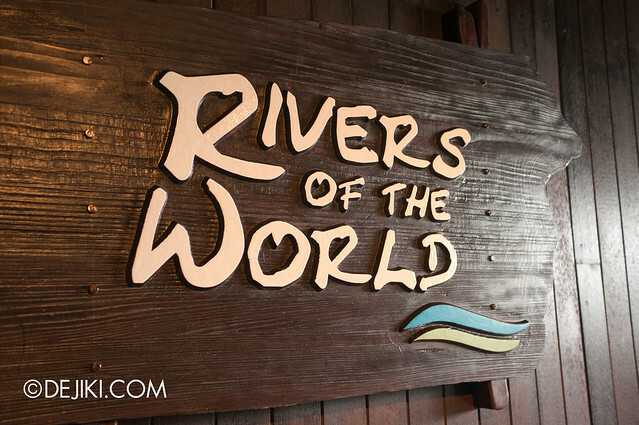 Part one of the Rivers of the World Photo Tour will cover Mississippi River, Congo River, River Nile, Ganges River. 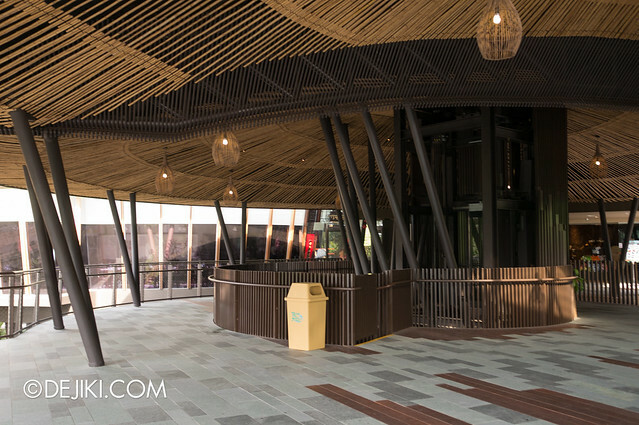 Before we begin, let’s take a look around the Entrance Plaza. There are a few of these machines located near the entrance, right after the turnstiles. 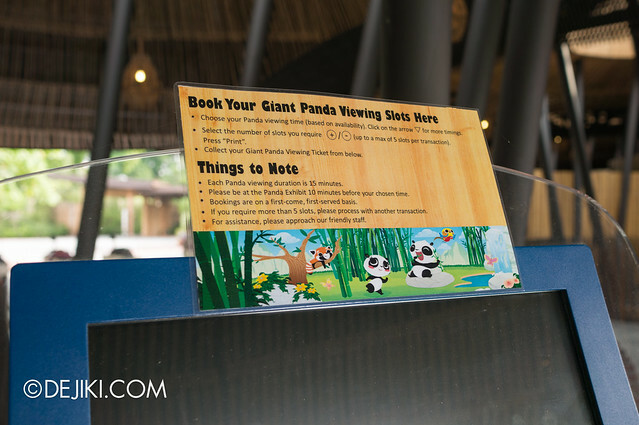 These are for visitors to reserve a Giant Panda Viewing timeslot. 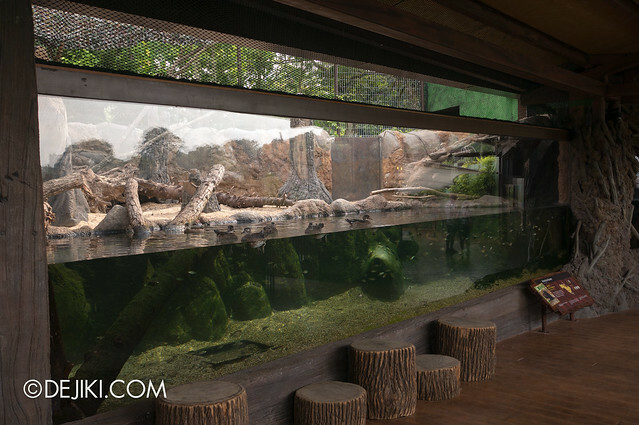 While admission to the Giant Panda Forest is included in park admission, the park will use this system to control visitor traffic during peak season. 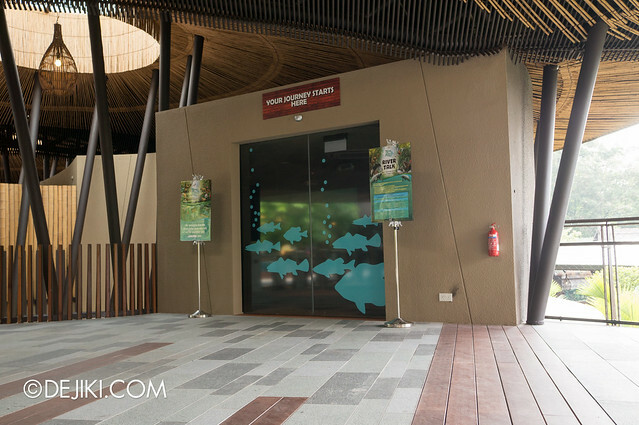 Visitors simply need to choose a timeslot and print tickets to accommodate all members of their party. 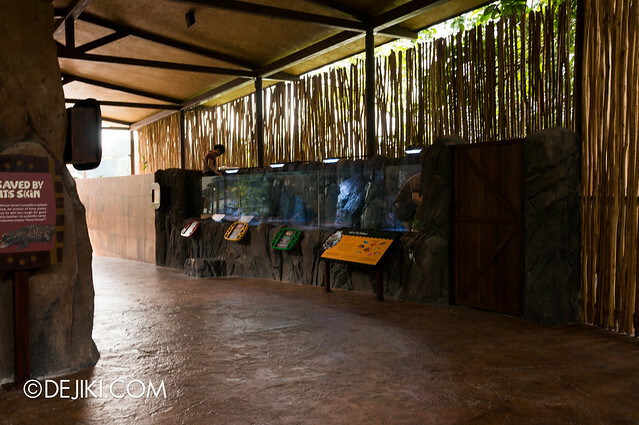 They will then visit the Giant Panda Forest during the indicated timeslot. 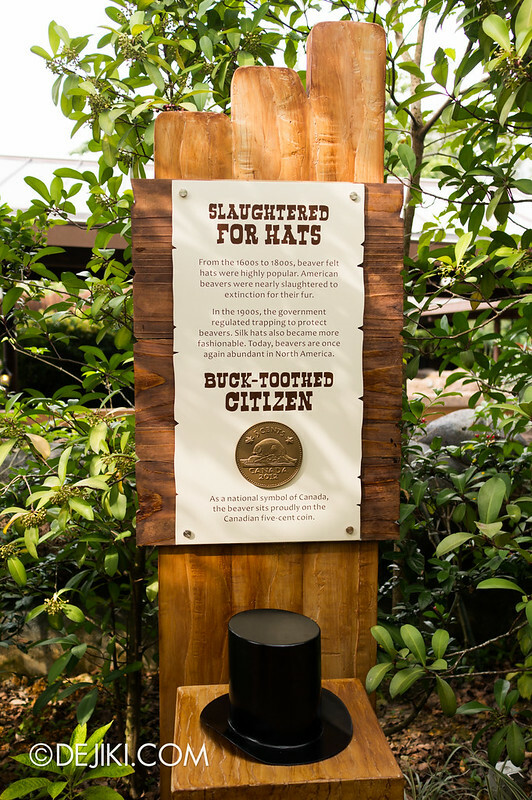 These tickets will be checked at the entrance of the Giant Panda Forest. 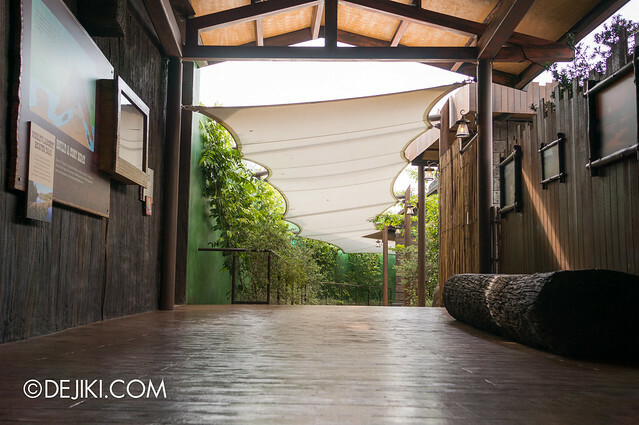 Admission into the Panda complex is not guaranteed for visitors without a valid ticket. During days of low attendance, the system will not be used. 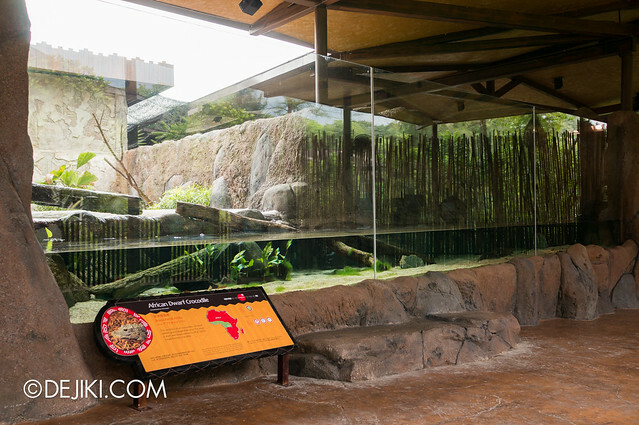 Visitors can visit the Giant Panda Forest as often as they wish without making any reservations. The Journey Begins… beyond these doors. 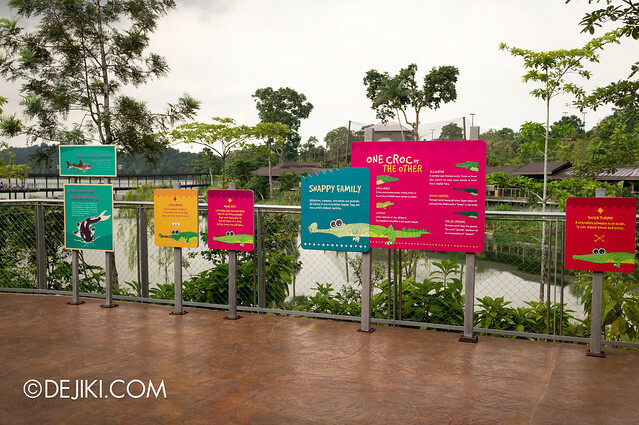 If you’re visiting, do look at the posters near the doors – they show feeding times at the exhibits as well as a times for a small animal show at the Amazon Square. 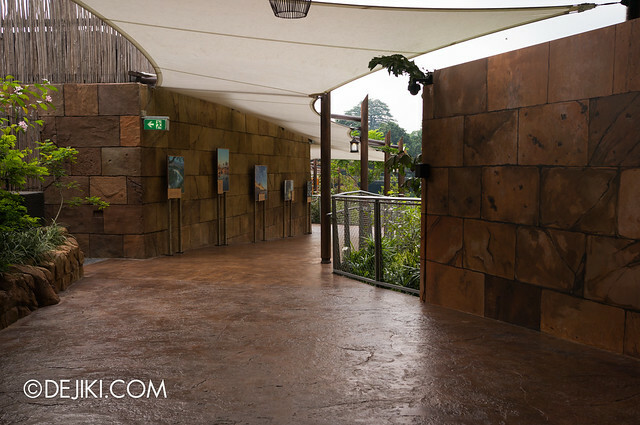 Through the doors: A dark corridor with video projections and sound effects to set the tone of the park experience. The path leads outdoors to the first area of Rivers of the World. 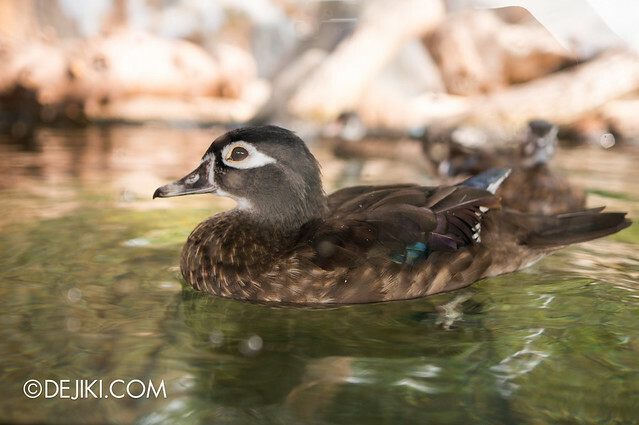 The largest river system in North America is home to hundreds of wildlife species. 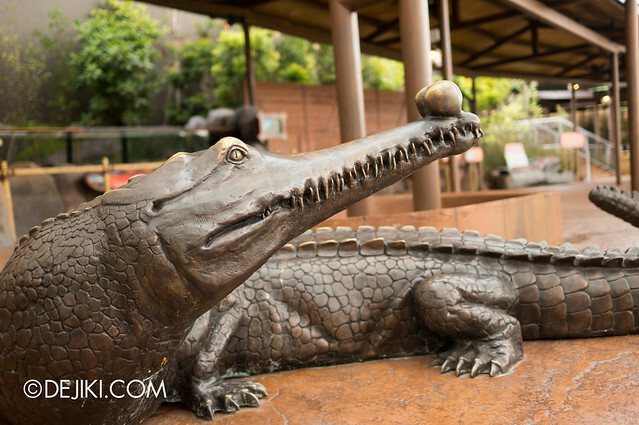 In River Safari, there are Beavers, Alligator Snapping Turtles and Mississippi Paddlefish. 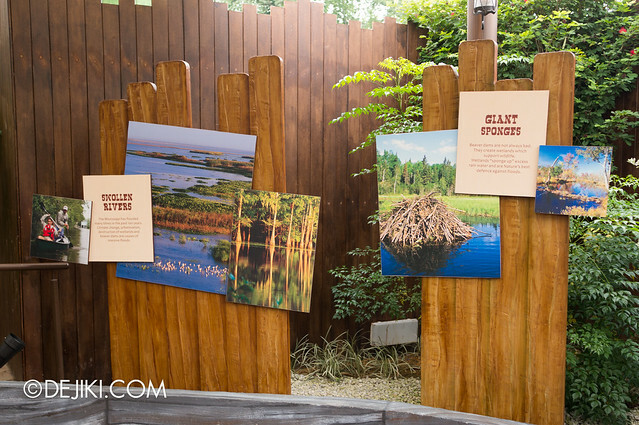 Beavers are supposed to be in this first exhibit, but I couldn’t find them. I saw ducks swimming around instead. 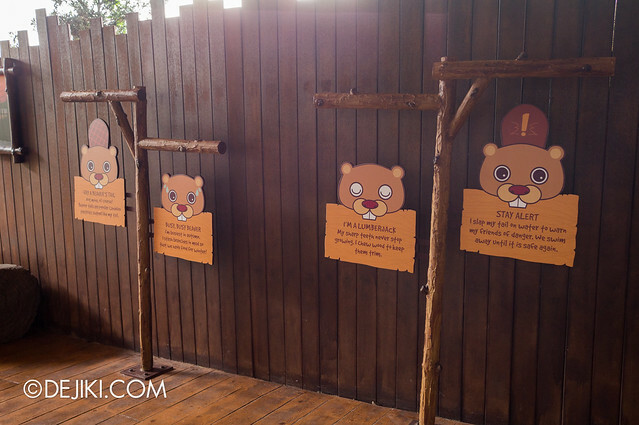 There are these cute signage about beavers, though. 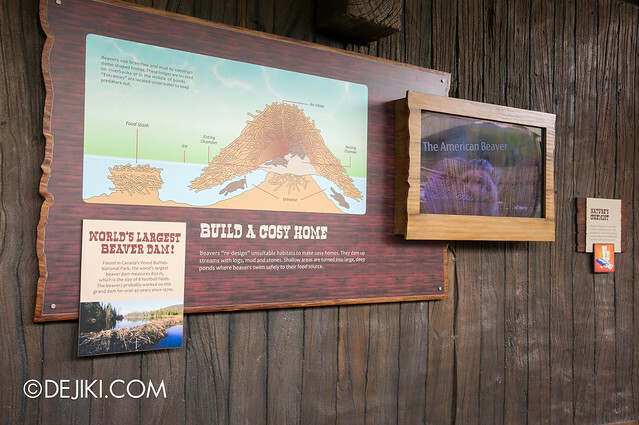 Displays around the area describe the habitat of beavers – made from branches and mud, to turn any unsuitable place into a “cosy home”. 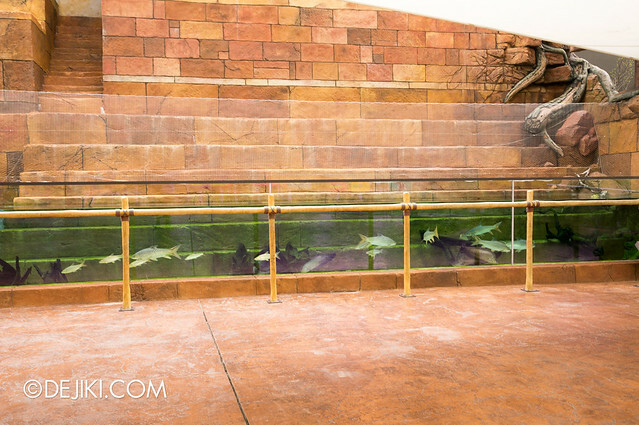 Well, I guess they might be hiding behind the logs in the exhibit. With the ducks as their guards. 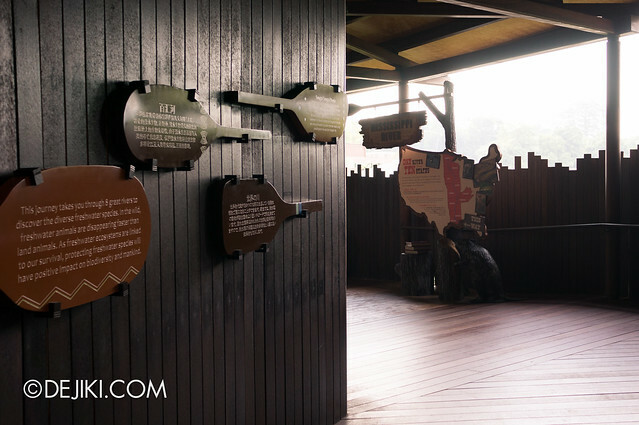 This park has a heavy application of “3D” and engaging information design. It makes reading information fun, and I think kids wouldn’t find it boring. 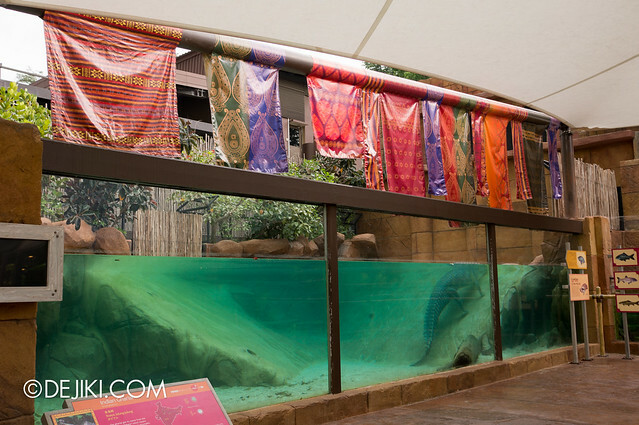 I wish Marine Life Park practiced this. The second half of the Mississippi River area has a gentle slope, showing three tanks at varying heights. 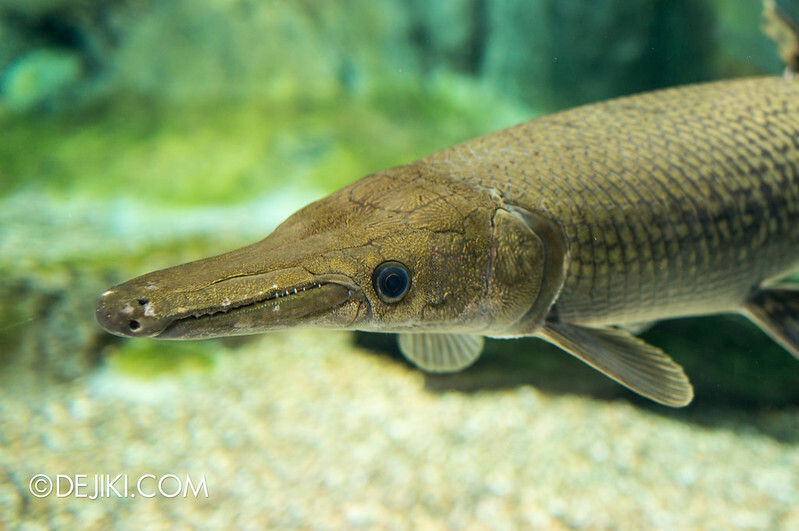 And one of them is filled with Alligator Gar. 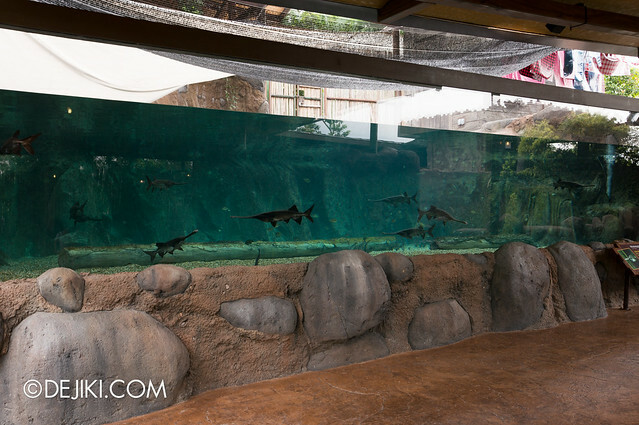 The largest tank has Mississippi Paddlefish – recognizable for its long snout. The Paddlefish eats by swimming with its mouth open. It only eats plankton! Congo River – the deepest river in the world with depths up to 220metres. 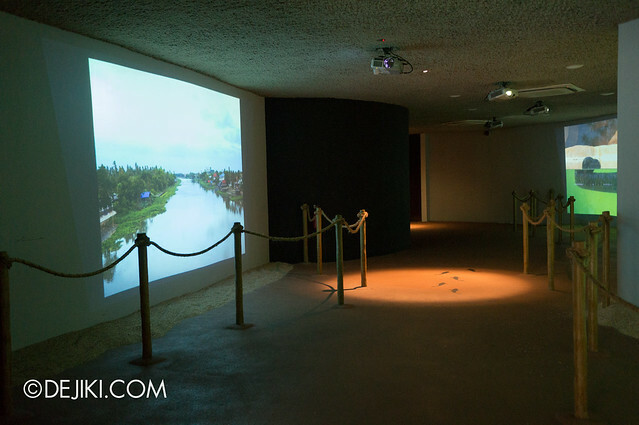 I thought the Rivers of the World walkthrough will lead underground. 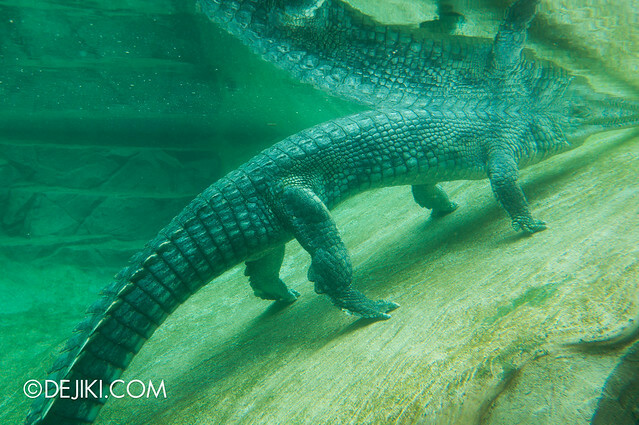 Instead, the park decided to show a shallow portion of the river – with a African Dwarf Crocodile. There’s actually another tank, but it was closed at time of visit. 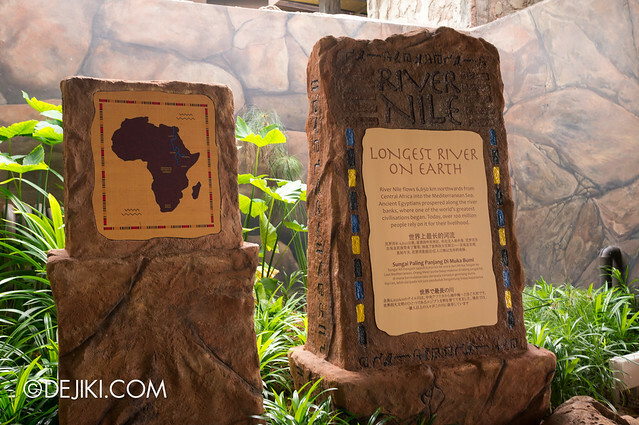 The River Nile may be the longest river in the world, but at River Safari, it appears to be summarized into one display. 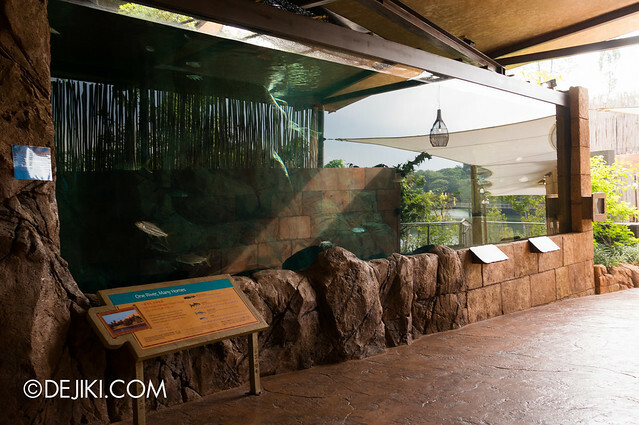 Tigerfish, African Arowana and Giraffe Catfish inhabit this single display. It’s pretty hard to take photos (I rejected all the close-up photos I took here) because the glass gets a good dose of sunlight. 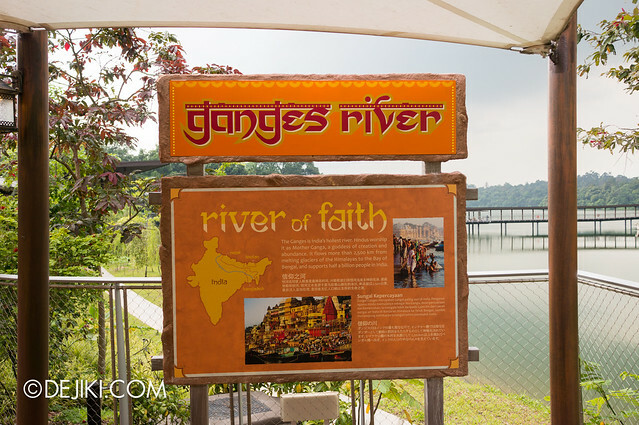 The next zone, Ganges River, brings visitors close to the park’s pond. It’s a beautiful vista, so I was paused my walk to admire the reservoir. Okay, back to Ganges River zone. 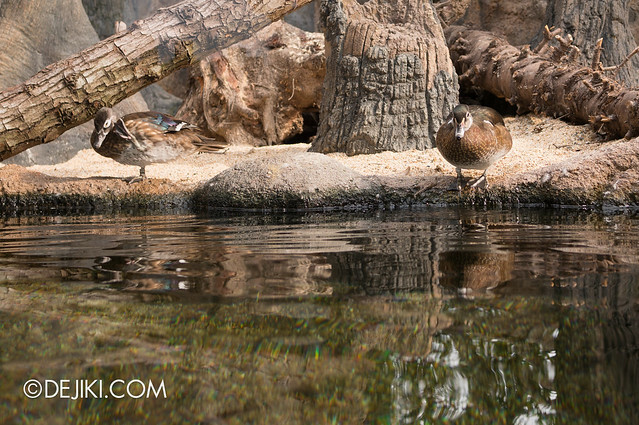 The highlight here would be the pair of Indian Gharials. 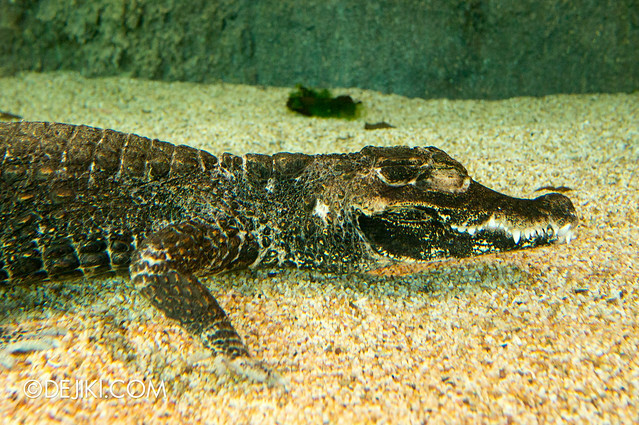 There is another Gharial at the back of the exhibit. But this one seems to be in an awkward tip-toey position. 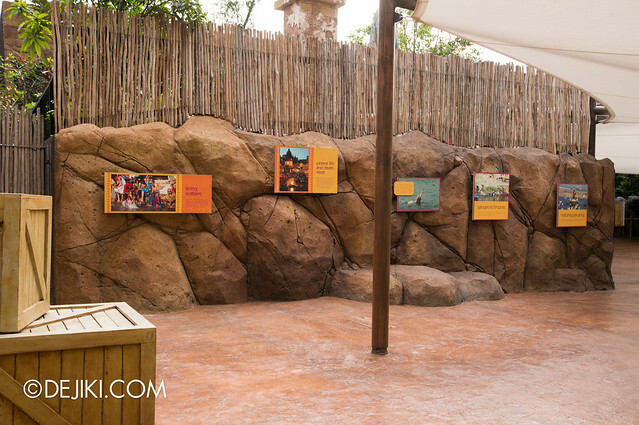 Like other areas of River Safari, Ganges River zone is also filled with well-designed information displays. Quite attractive colours used coupled with cute illustrations. 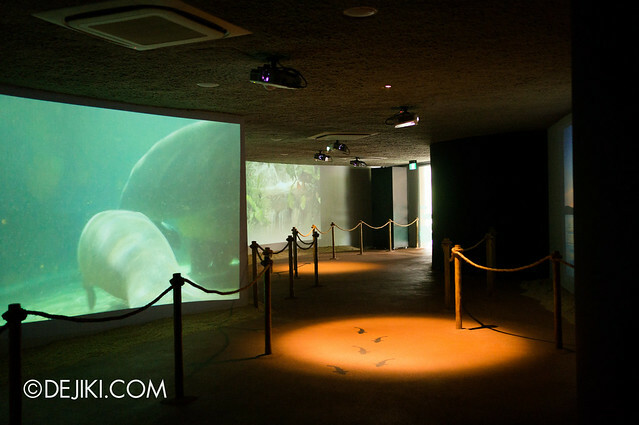 In the shallower aquarium, there are Clown Knifefish, Indian Mahseer, Bighead Carp and Goonch. Doesn’t look like everything in the aquarium yet, and once again, I’ve rejected all my close-up photos taken at this area, due to lighting and reflections on the glass. Looks really interesting. I guess it’s a pity that it’s not underground (was hoping for air conditioned experience), and how the distribution seems uneven. 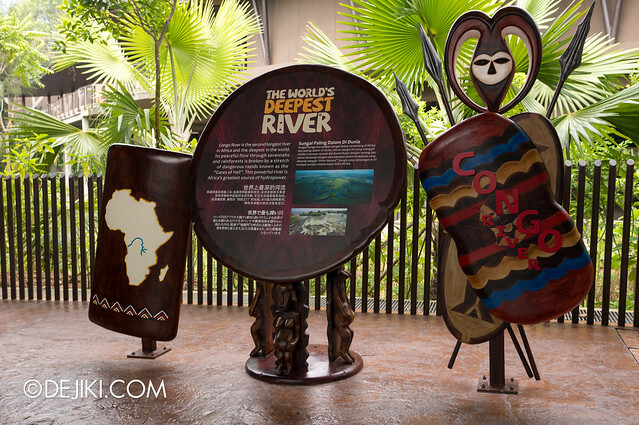 Pity that the River Nile has only one tank, and Congo River has two. 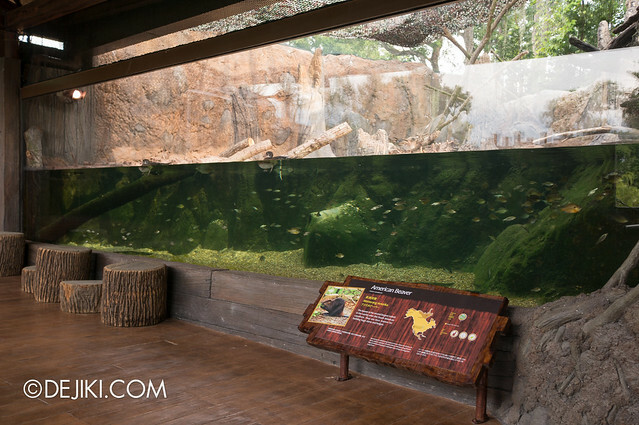 The Congo river is the deepest river with quick currents, and has an interesting case of speciation and evolution, hopefully that is represented on a board somewhere.